La Boqueria Market in Barcelona, Spain. Visiting markets is a big part of absorbing culture. 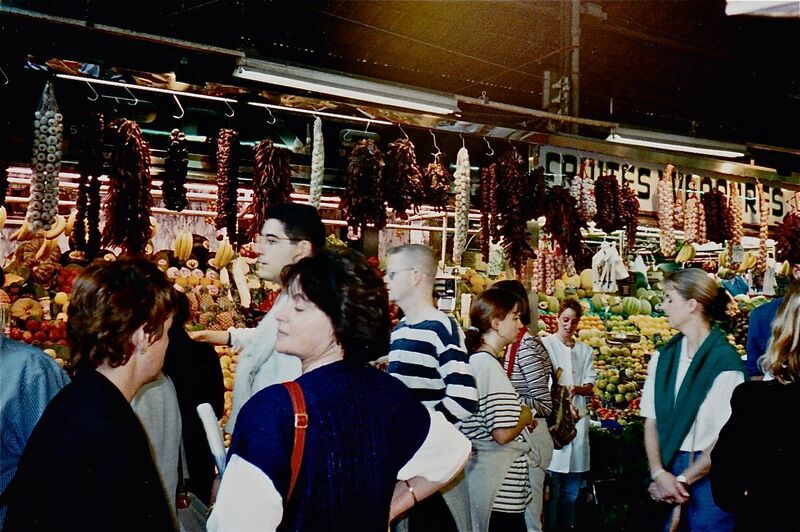 One of the oldest markets in Spain, La Boqueria, offers full on sensory details. I loved hearing the buzz of everyone talking, ordering, as well as the shuffling and unloading of goods. 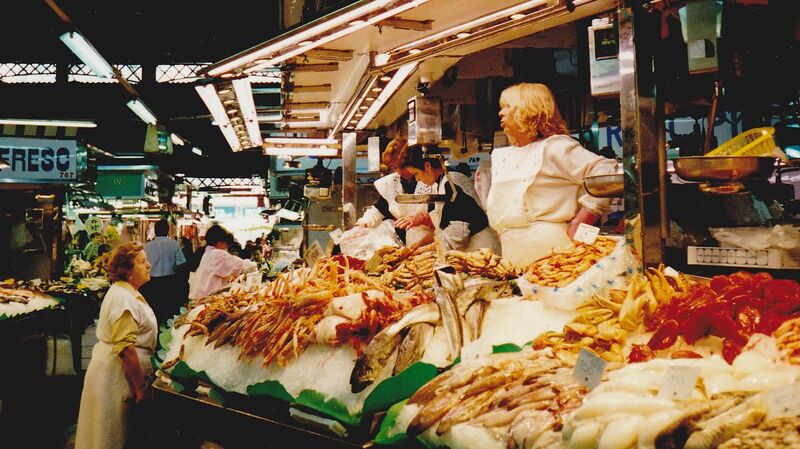 And, of course, the mix of smells from fish to bread to fresh produce is a trademark of any market. The colors, even the variations of the whites, grays and pinks of the seafood, feed your eyes, indeed. However, the best is the reward of buying something fresh like a warm churro and enjoying it while taking a stroll down La Rambla. This entry was posted in Culture, Food and Drink, Photography, Spain, Travel, Uncategorized and tagged Barcelona, La Boqueria, markets by stephglaser. Bookmark the permalink. Reading your post makes me look forward to my upcoming trip to Barcelona even more! I can’t wait to visit the market.